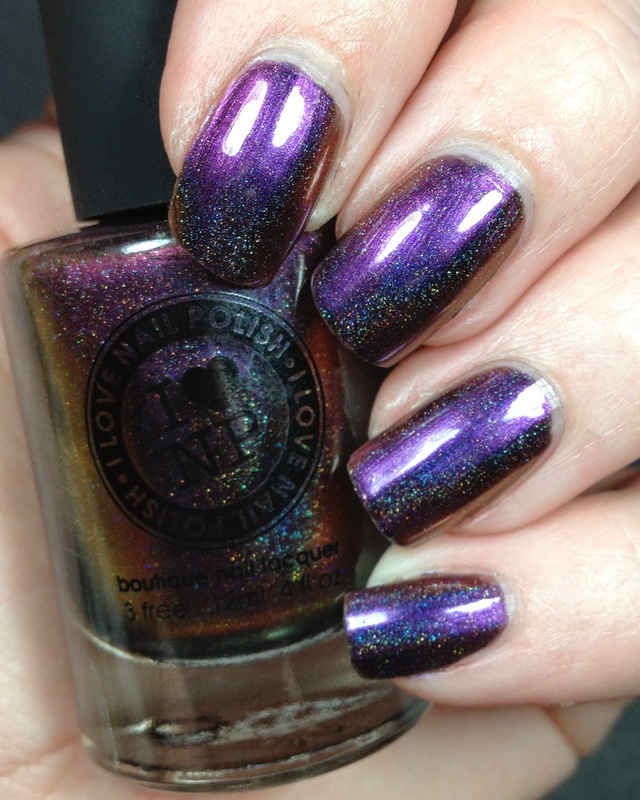 On Monday I shared an ILNP polish and mentioned that I had another one coming...well here it is. This is the holographic version of Undenied. 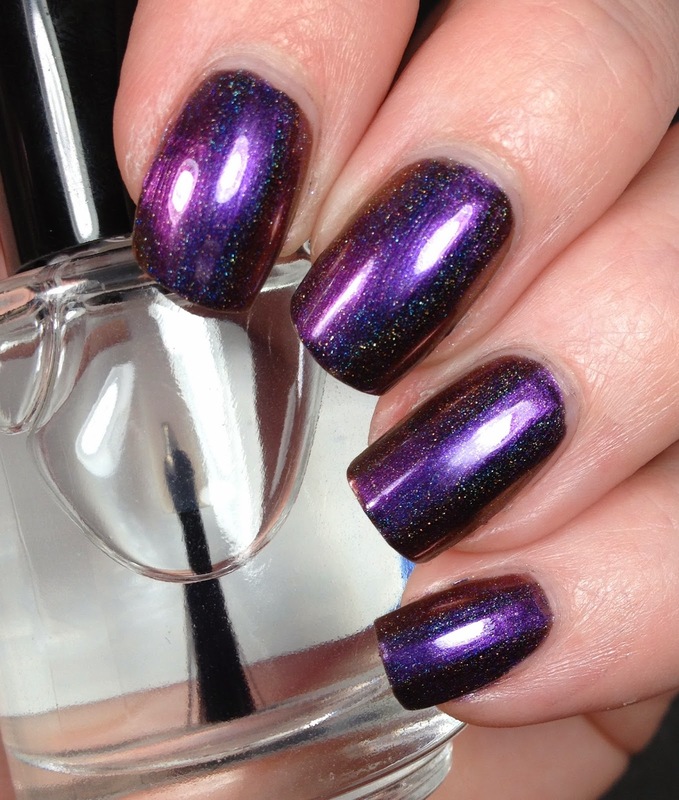 It is a holographic multi chrome. So it has many many different colors in there as well as having that lovely holographic shine to it. 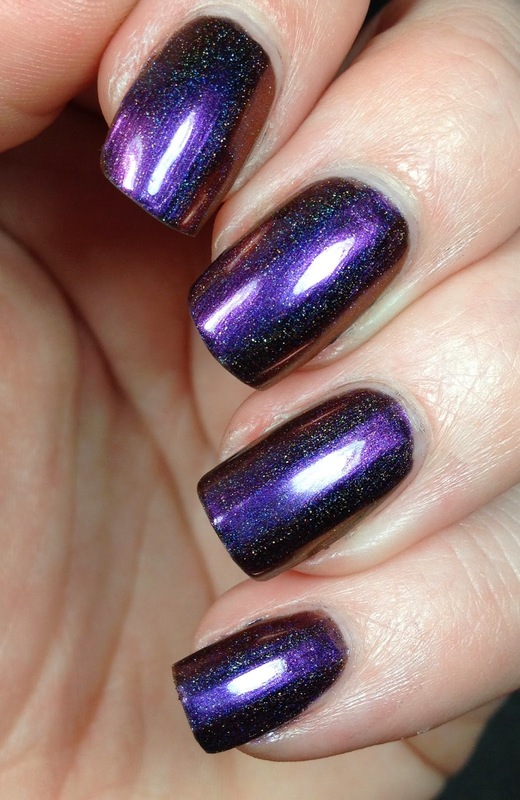 This polish has red, gold, and purple in it. Sadly I didn't get ALL those colors in these photos. 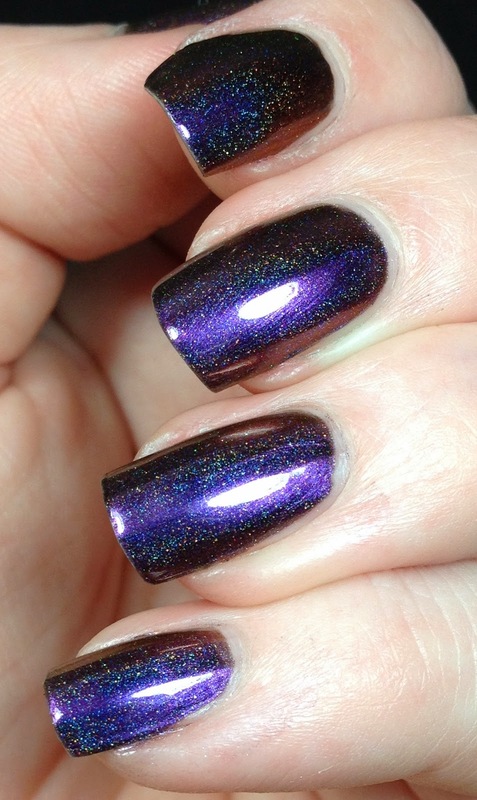 This is two coats of Undenied (H) topped with Glisten and Glow's HK Girl topcoat. Application was good. I must say that I really like that the cap on these polishes is a bit rubbery. It makes for a better grip. If I have been lotioning my hands or putting cuticle oils on I struggle to open a bottle. So that helps me a little bit in the struggle. You can kinda see the red in these pictures and you can see the red and the gold in the bottle for sure! Wow these are gorgeous! 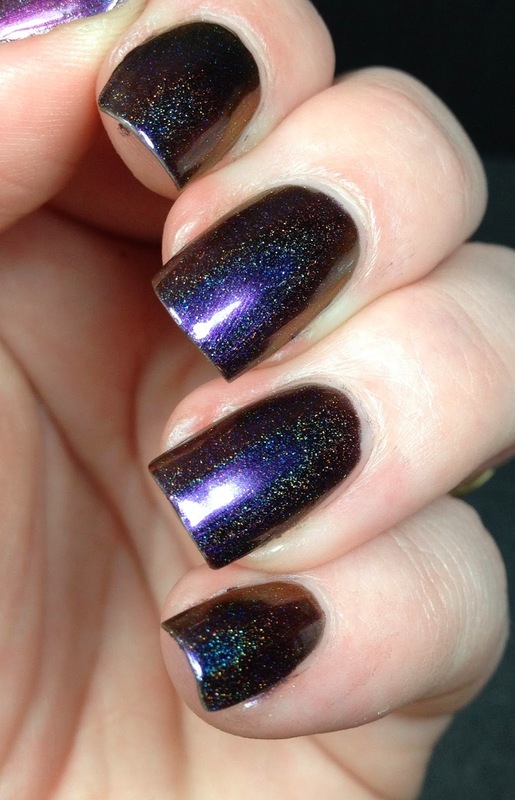 They look so good and I think would be a perfect base for galaxy nails too. I really like this! I don't have any holo multichromes yet. This looks lovely on you!